Email address and mobile phone number – update your details through the portal. The details listed will be used to send emails and sms alerts. 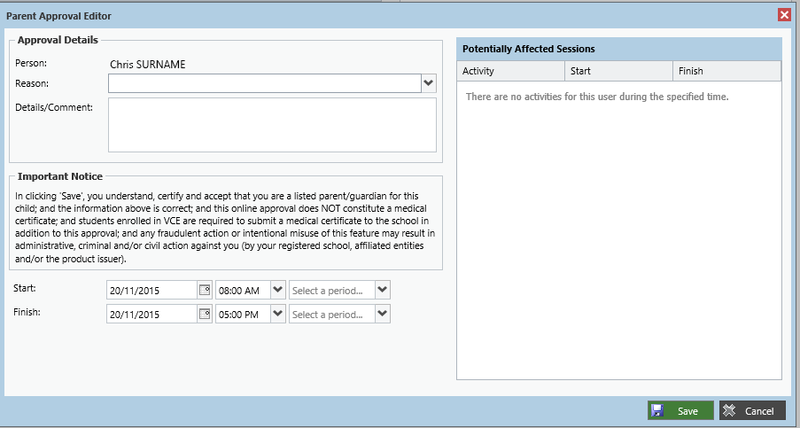 Attendance – view your child’s attendance online, approve absences and indicate future absences. School photos – can be ordered online through the Compass portal. Teacher email – parents can email their child’s teachers directly. Parent/student/teacher interviews – make appointments with teachers. News feed – the school will post news to parents to remind you about events and activities at the school. Your news feed will be customized showing only the information relevant to you and your children. Excursions – approve your child’s participation in excursions and other special events. Reports - Progress Reports and Semester Reports will be made available online through the Compass portal. Compass is a web-based system that is accessible on any modern web browser (Internet Explorer, Firefox, Chrome, Safari, etc) or by using the Compass iOS or Andriod apps. Every family recieves a seperate login to Compass which will be mailed out to each family. To access the parent portal, clikc the Compass logo at the top of this page. If you have forgotten your password, or are having any difficulties logging in, please contact the school on 9395 9271. The home screen provides you with relevant alerts and news, as well as quick access to your childs profile..
1. From the Compass home screen, click on the events alert under 'My News', or navigate to 'Events' under the organisation menu. 2. From the Events page a list of upcoming events and excursions will be displayed. Click the red 'Process Now' button to provide consent and/or payment (depending upon what the event requires). 3. An online payment/consent form will be displayed. Complete all highlighted relevant fields and click the 'Submit Details' button. Note: If the event has a requirement for both consent and payment, these cannot be done separately. Should you need to provide payment or consent seperately, please click 'Print Form (Offline)' to complete the process manually. 1. On the home page, underneath the student you wish to make bookings for, click 'Book Parent Teacher Interviews'. 2. A list of parent-teacher interview cycles will be displayed along with their booking status. Click on the relevant cycle. 3. Your booking sheet will be displayed and will show all available booking times. Click on a time in the grid to display teachers available for booking at the selected time. 1. 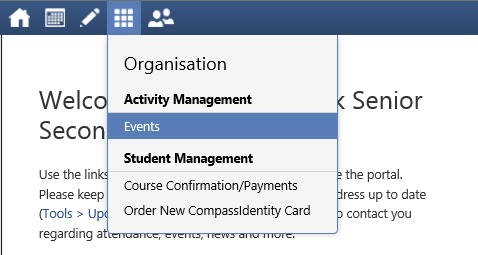 On the home page, underneath the student you wish to make bookings for, select the 'Add Parent Approval' item. Note: Where possible, parent approvals should be entered prior to the absence occuring. Absence from a VCE assessment will require a medical certificate. Using Compass you can view up-to-the-second attendance information for your child. To view your child's attendance, click on the Student Profile link on the home page and click the Attendance tab. 2015 © Point Cook Senior Secondary College. All Rights Reserved.